TRIP DURATION AND DISTANCE GROW EVERY YEAR. Delivering an amazing wilderness adventure takes exceptional planning, expert guidance and careful matching of trip demands to the age and experience level of each participant. So our Outpost program offers canoeing, backpacking and sea kayaking options in introductory, intermediate, advanced and expeditionary levels. Trip duration, travel distance and physical demands grow with every year of participation — with the Outpost camper growing right along with each new experience. 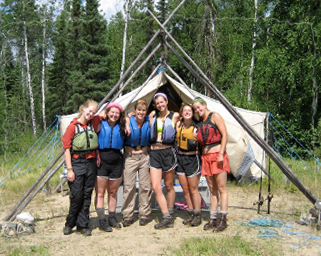 The Voyageur Program is an introduction to the Outpost Program. 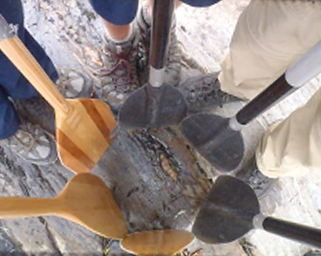 You’ll spend three days preparing for your trip at Camp Manito-wish YMCA: Getting to know your trip companions, planning your menus, packing food, gathering equipment, and learning and refreshing trail skills. 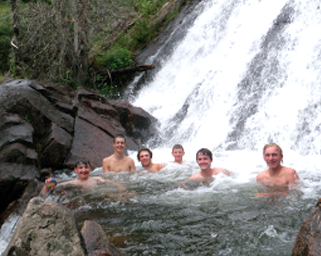 All trips focus on the small-group experience, with four to five campers and one leader. Provisions are carried for the entire trip. You camp on a rustic site on Manito-wish grounds, complete with canvas wall tents and a fire ring. On the fourth day, you’ll embark on your nine-day Outpost trip, returning to Camp for the final two days. 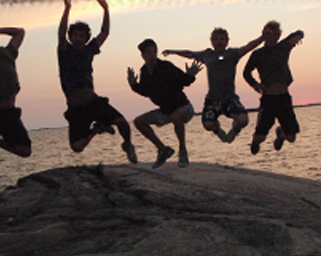 There are three Voyageur trip options; click on their links to learn more about them. REQUIREMENTS: NO prior Manito-wish/trail experience and/or invitation required. 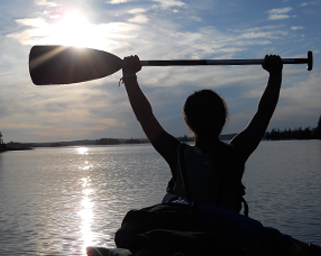 Voyageur canoeists spend their nine days traveling through the Boundary Waters Canoe Area Wilderness (BWCAW). Boasting approximately one million acres of wilderness, the BWCAW offers campers the opportunity to experience pristine waters, natural and cultural history, and awe-inspiring skies. The groups will paddle and portage through some of the picturesque 1000+ lakes that make up this spectacular natural area. Voyageur backpackers venture to the Superior National Forest in northeastern Minnesota, where they’ll spend nine days hiking along the Superior Hiking Trail as it snakes along the ridgeline above Lake Superior. The trail offers spectacular views of Lake Superior and the Porcupine Mountains, along with adventurous hikes up rocky ridges, through deep forest, and past spectacular waterfalls. Voyageur sea kayakers venture north to the beautiful Apostle Islands National Lakeshore in Lake Superior. This island network, set in the deep blue waters of America’s greatest lake, provides kayakers with amazing scenic vistas, rugged shorelines and fascinating sea caves to explore. An unforgettable trip filled with natural beauty, adventure and challenge. 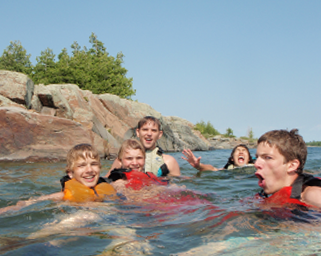 Campers in the Intermediate Program take the next logical step in wilderness exploration, trip duration and skill level. Four days of trip preparation at Camp Manito-wish includes collaborative leadership training, food and equipment pack-out, first aid basics, map and compass skills, and hiking or paddling techniques. Campers then head out for adventure and the chance to apply their skills, insights and knowledge during a full 14 days on the trail. Imagine yourself canoeing through the remote and rugged glacier-formed lakes of Quetico Provincial Park. Located in Northwestern Ontario, Canada, the Park provides plentiful opportunities to navigate undisturbed waterways and encounter abundant wildlife. Following the routes of the French fur traders, Pioneer Quetico canoeists will paddle 8-15 miles per day and encounter a variety of portages and scenic vistas. Isle Royale National Park, surrounded by Lake Superior, presents a unique backpacking environment. The Minong and Greenstone Ridge Trails will challenge your strength and endurance, and provide picturesque views of the valleys and Lake Superior. During your trip you will hike 6-10 miles per day on the 160-mile trail system and camp on the shores of Lake Superior or interior lakes. LAKE NIPIGON – As the largest lake within the Canadian Province of Ontario, Lake Nipigon is a unique and impressive 1,871 square mile wilderness. Often described as the sixth Great Lake, Lake Nipigon flows into Lake Superior and is dotted with hundreds of islands. 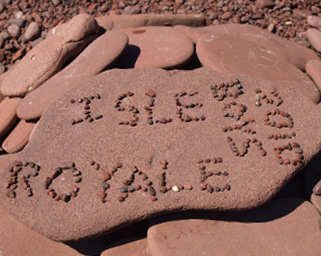 The area is known for its towering cliffs, rare herds of woodland caribou, and unusual green-black sand beaches. 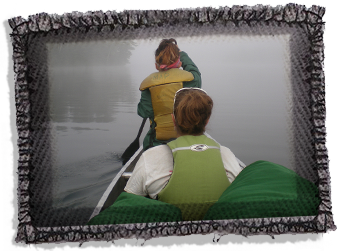 Manito-wish trips paddle 10-15 miles per day on the lake’s pristine waters, ultimately circumnavigating the shoreline. Lake Nipigon’s rugged beauty and impressive natural phenomena will challenge and inspire all those who venture to explore this great lake. Advanced Outpost trips build on your previous Manito-wish Outpost or equivalent trips. Whitewater canoeing, off-trail mountain travel, and open-water kayaking challenge and expand your skill base. Your peers will rely on your leadership abilities, initiative, and physical and mental stamina. By the end of your Advanced Outpost Trip, you will be an accomplished canoeist, backpacker or kayaker, a wilderness camping expert, and a more aware and effective leader. The Canuck is a rugged 35-day canoe trip in Northern Saskatchewan. Your route will include unmarked portages, phenomenal whitewater, and vast lakes. The Churchill River and Reindeer Lake basin area contains countless lakes and thousands of river miles. You will paddle through the Northern Boreal Forest with its dense pine forests, deep moss, sand beaches, granite rock outcroppings, and excellent fishing. The Western is a demanding 30-day backpacking trip that you’ll experience in one of two potential destinations: Montana’s Beartooth Mountain Range, Wyoming’s Wind River Range or Idaho’s Sawtooth/Bitteroot Range. Your group will hike both on and off the trail, above and below the treeline, over snow-capped mountains, through grassy meadows, and through rugged boulder fields to reach high alpine lakes. Off-trail hiking will test your endurance, route-finding skills, leadership skills, and determination. Explorers on the Mariner trip will paddle for 30 days on Lake Superior’s remote northern shoreline, gliding past steep cliffs, rocky outcrops, and hidden coves. You’ll travel between Sleeping Giant Provincial Park, Pukaskwa National Park, and Lake Superior Provincial Park. 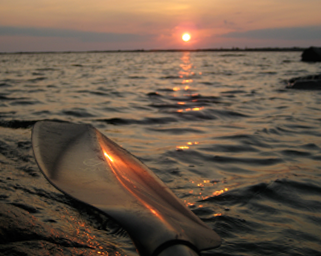 Superior’s north coast offers a much different experience than other Manito-wish sea kayaking trips, with wind, weather, and waves building your skills as a paddler, navigator, and group member. 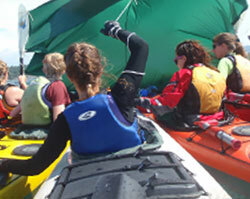 Expeditionary canoeing, backpacking and sea kayaking trips are the culmination of the Outpost program. These expeditionary trips are for those who seek extensive skill development and a collaborative leadership experience in remote and possibly extreme conditions. The trips incorporate formal classes, instruction and feedback sessions. There is a resupply plan for each trip. Expeditionary level trips are only open to those who have had previous Manito-wish Outpost experience. 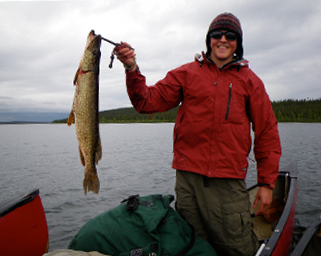 The Expeditionary Canuck Canoeing trip is a 45-day canoe trip in the challenging but rewarding waters of Northern Canada. 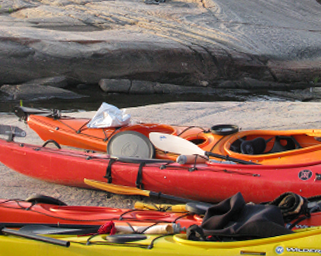 Expect whitewater paddling opportunities big lakes and the beauty of the remote tundra environment. Journey to the land of the midnight sun! The Expeditionary Backpacking trip offers a 45-day route through the Brooks Range in Alaska and includes challenging off-trail hiking and a high alpine environment for the experienced backpacker. 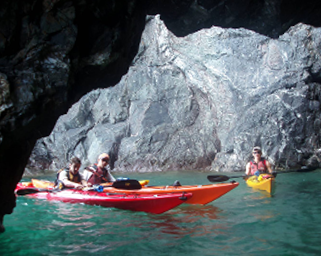 The Expeditionary Mariner Sea Kayaking trip offers a 45-day route through the Inside Passage of Alaska. In addition to stunning mountain and glacier views, expect to see an abundance of wildlife ranging from orca whales to brightly colored starfish. This is truly the pinnacle of all sea kayaking experiences. 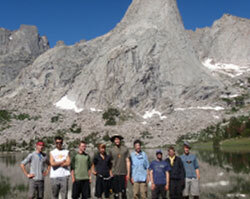 Fees include staff, all activities, instruction, equipment use, wilderness trip, meals, lodging, and facilities. We are happy to offer our families two fee options. You may choose the actual fee or the adjusted fee. The actual fees reflect the true cost needed to deliver a Manito-wish experience . Because of generous contributions to our Annual Fund Drive and Endowment Funds, we are able to offer families an adjusted fee. Please choose the fee which is most suitable for your family. The fee you choose in no way influences the experience your camper will receive. Payment plans and Camperships (financial assistance) are available. Please contact us for more information.